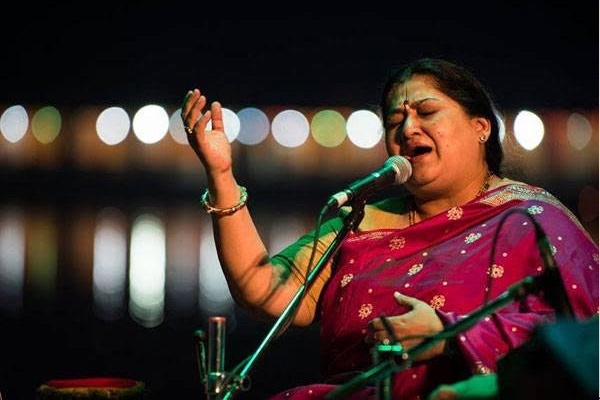 MUMBAI: Eminent Indian classical vocalist Shubha Mudgal, who never fails to mesmerise audiences with her soulful voice, believes that classical music and technology, which ease the teaching and learning processes, can go hand-in-hand. "I myself am fascinated by technology. The tanpura is a huge instrument, very delicate and fragile. Its sound has been sampled so well that, in a sense, it has become far more convenient (to teach and learn). Apps like the itanpura and itabla, which a lot of musicians and vocalists are using now-a-days, are making it easy for us to get the sound of the tanpura just right while travelling," Mudgal, 57, told IANS in an interview. The Padma Shri awardee, known for her sheer elegance in presenting different genres of music like khayal, thumri and dadra, is playing a crucial role in the Serendipity Art Festival (SAF) -- a multidisciplinary event taking place along the banks of the river Mandovi in Goa capital Panaji. In its second edition in December, Mudgal is curating two projects -- Sonic City and River Raga. Talking further about the involvement of technology in music, the vocalist explained that Sonic City is one such example as it is a perfect amalgamation of music and the ambient sounds that form a part of the national capital's soundscape. "It is a programme which compiles the chaos of the national capital; the noise of traffic, the voices from dharnas, the speeches at political rallies, the beats of drums at weddings and the chirping of birds, along with melodious voices to create a rhythmic whole," she pointed out. Curating an art festival or a cultural event is something that Mudgal enjoys. "If I am curating, I become very close to the project. I believe there is so much young talent that needs to be brought forward and should be given importance." "While curating, the prime objective this year was not what was showcased last year. SAF is not just a large and fancy art festival; it's an attempt to make a difference to the artistic and cultural climate of the country," the vocalist explained. Although Goa is primarily known as a tourist hub, its cultural aspects often take a back seat and Mudgal thinks that events like SAF can help to remove the "hippie" and "tourism" tags and provide a different lens to view Goa through. "For me, it is a place which I revere for being the birthplace of some of the most iconic people in Hindustani classical music. And simultaneously, it is also the home of many famous jazz musicians like Antony Gonsalves and others. Goa certainly is very diverse in its communities and music," she said. Although rarely heard in Bollywood, Mudgal leaves the listeners amazed every time she does lend her voice -- like in Piya Tora Kaisa Abhimaan from the movie Raincoat, directed by Rituporno Ghosh. Asked why she doesn't sing much for Bollywood movies, she said: "Film has its own specialisation which I am not really trained for. And unless there's something that requires my background it's pointless to sing." It is going to be two decades since Aab Ke Saawan, a song that became extremely popular when it was released and continued on top of the charts for long. So, why is there not more of this genre? "Aab Ke Saawan belonged to an age when big music companies would launch albums and do a lot of publicity. Today, it doesn't happen any more. This is the age of self-publishing and independent publishing and distribution," Mudgal concluded.